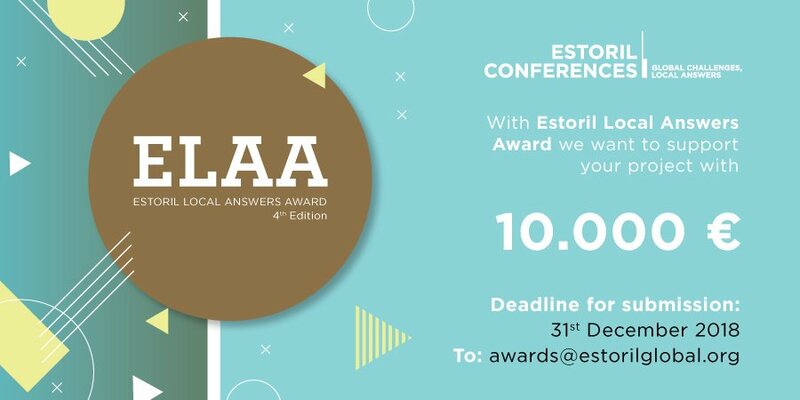 Since 2013, the Estoril Conferences have attributed the Estoril Local Answers Award (ELAA). This award aims to promote and support the work of local initiatives around the world to help meet the challenges of globalization. ELAA is a prize money of € 10,000 in support of the winning project and an opportunity for the presentation of it to notable national and international entities and individuals during the award ceremony, included in the 6th edition of the Estoril Conferences. The Estoril Local Answers Award seeks the best solutions, practices and new local initiatives capable of responding to global challenges. The applications are open until December 31, 2018, and the rules of the prize can be consulted here.